If you are looking for my Sparkle Creations challenge card, please scroll down or click HERE! Hello! 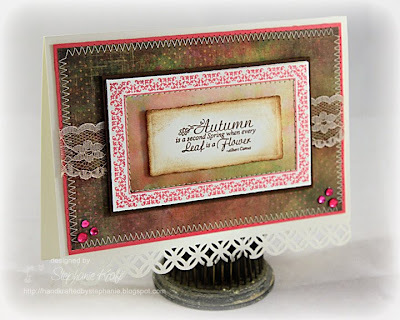 Today we are introducing JB-09240 Give Thanks Nested Frames on the JustRite Inspiration blog. If you'd like to see more samples, please visit the blog for links to all the designers who have made projects with this new set. 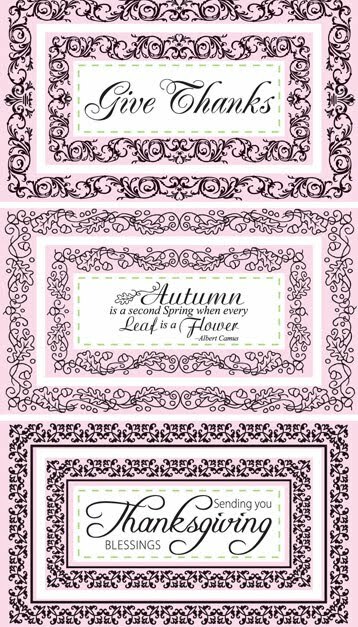 It is a beautiful set of 3 small sentiments, 3 small frames and 3 large frames that coordinate with all Nested Sentiments and Verse. 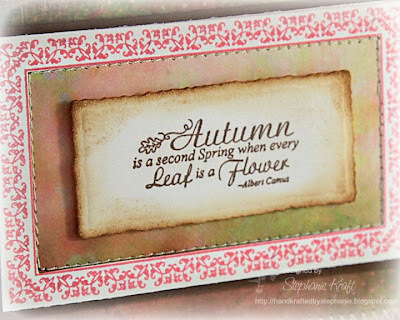 I used the lovely quote by Albert Camus which reads, "Autumn is a second spring when every leaf is a flower". 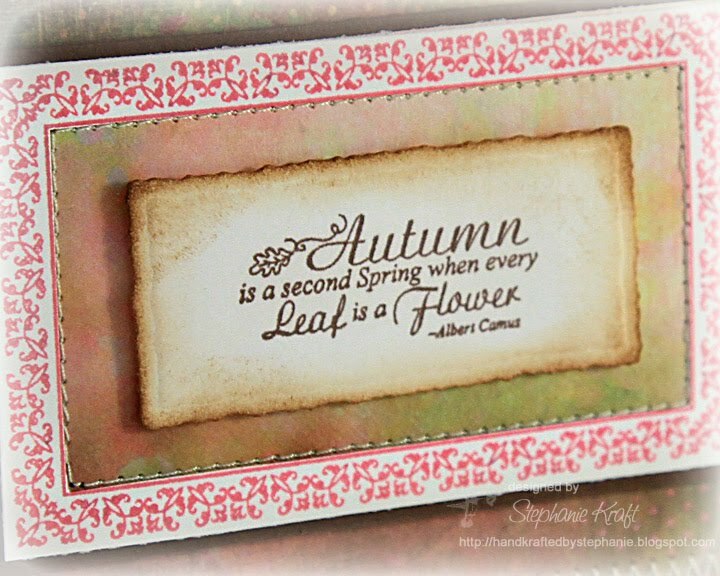 I stamped the quote with Memento Rich Cocoa ink and cut it out using Spellbinders Small Deckled Mega Rectangle Nestabilities. I distressed the edges with Vintage Photo distress ink and popped it inside one of the larger frames (cut out and matted). I added some distress ink to my white lace and added some fuchsia rhinestones on the lower corners. Wow, another very elegant card! Gorgeous lace, Stephanie! Lovely use of the framed sentiment. Beautiful background and accents. Your stitching is perfect! 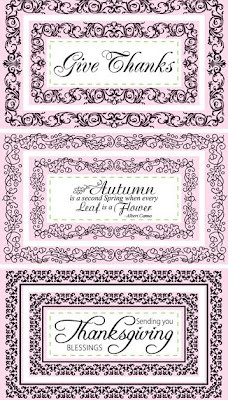 Lovely lace, for a wonderful card, Stephanie!